In the 1950s and ‘60s there were over 300 motorcycle manufacturers in Italy. Paglianti was one of the small manufacturers in business from 1948-1966. 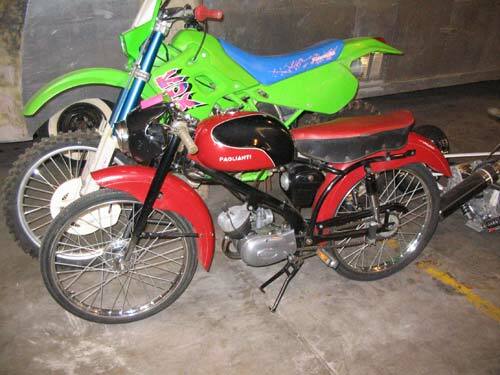 They built 49cc mopeds and 75cc mini scooters using engines from three different manufacturers. This model is the 75cc mini scooter version using a French-made Morini engine. The mini scooter was a stepping stone between someone who wanted a motor bike with a little more performance than a moped but was not yet ready for a full-size motorcycle.